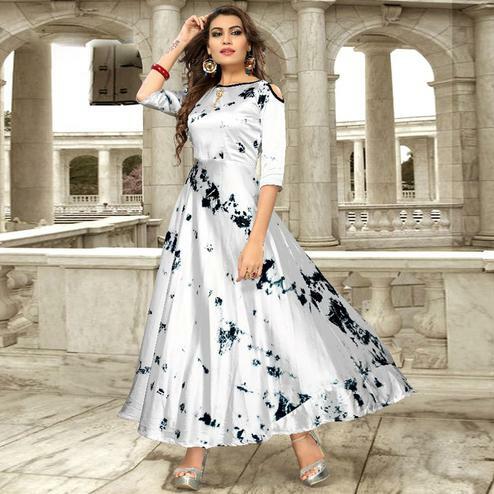 Get a glamorous look by wearing this trendy grey colored printed long kurti. 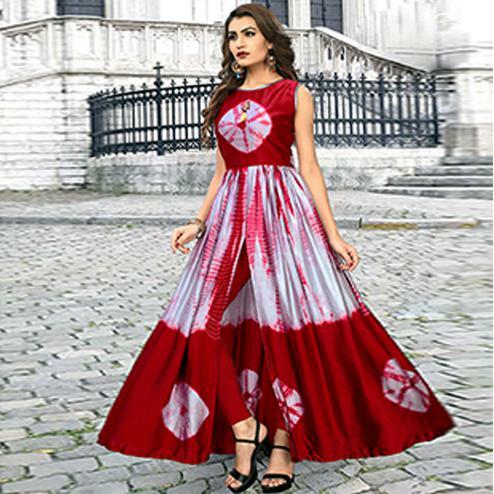 Enriched with diamond shape print along with embroidery on yoke. 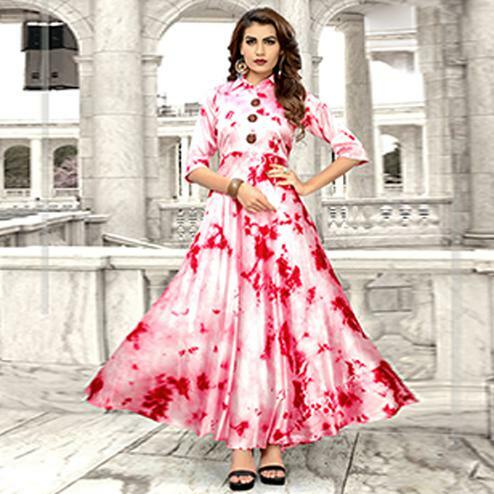 This ready to wear kurti is made from rayon fabric which is lightweight and assures the wearer a perfect fit & comfort. It's a perfect outfit to wear for parties and social get together. 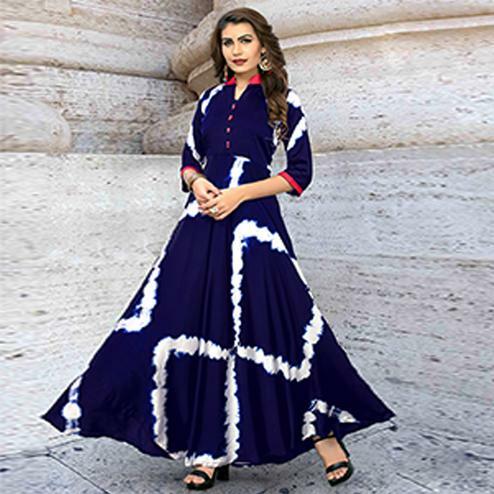 Pair it up with churidar in lighter or brighter hues to create a contrasting effect, along with heels & stylish accessories.This attractive kurti will surely fetch you compliments for your rich sense of style.